An artist's conception of the X-33 in flight, with the aerospike engine firing. 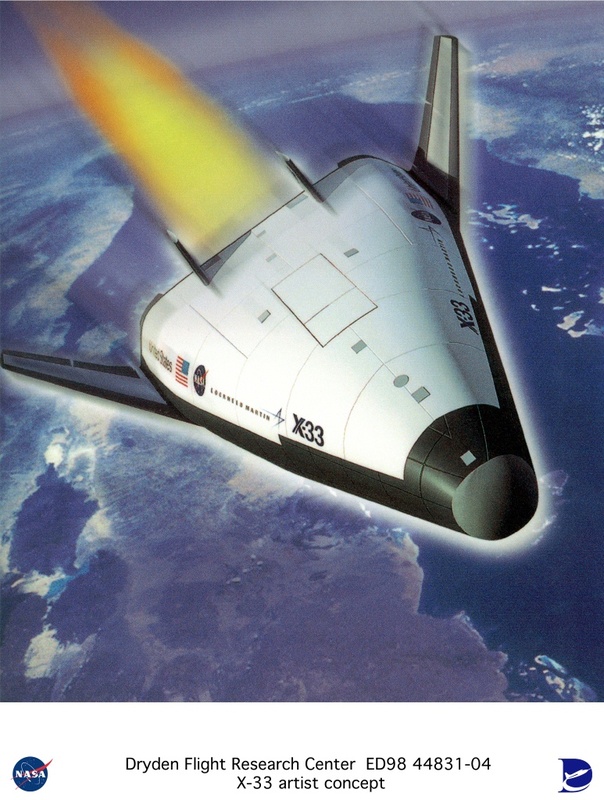 The X-33 demonstrator was designed to test a wide range of new technologies (including the aerospike engine), that would be used in a future single-stage-to-orbit reusable launch vehicle called the VentureStar. Due to technical problems with the liquid hydrogen tank, however, the X-33 program was cancelled in February 2001.